Similarly Facebook applications are web programs usually small developed for Facebook profiles such as fun wall, poke etc, these applications may be informational such as news feeds or weather forecasts or game based. Written in a server side language and hosted in application developer’s own server, Facebook applications interface with Facebook so they appear to user as part of Facebook. With over such a wide user base Facebook applications have really made it big and everyone wants to create Facebook applications for their business or for individual use. Due to ever increasing user base of Facebook, Facebook applications are all over the place and with the launch of mobile Facebook applications this field has shown potential as a professional entity. Brainmeasures Facebook Application Development Certification course has been developed by senior software engineers to help you understand from very basics the art of developing web applications, on completion of this certification program you will be a master of this filed and ready to enter the professional world. Note: To view detailed syllabus you will have to register with Brainmeasures and if already registered just login in your account to view detailed syllabus. Brainmeasures Facebook Application development Certification course has been developed by experienced professionals under strict ISO controls. Facebook applications, work with data stored in Facebook, and to handle multimedia and other Facebook applications. Will teach you how to send notifications from within an application and to create application control panels. Reader will learn how to extract Facebook information to be displayed in the application, updating user profiles automatically, to display information in hassle free manner, scripting ability, creation of successful invitation system etc. Easy to understand text, use of wide style of texts to help you distinguish between different kind of information. Easy to read and understand, giving complete comprehensive knowledge of the subject. 24X7 accesses to purchased certification course program. This course is for all interested readers of this subject as there are no pre-set enrollment requirements, this course has been developed for easy understanding making it an excellent self study guide. This course makes excellent study material for graduation student of computer science and software developers, web application developers. Job Aspects – Certified Facebook Application Developers. 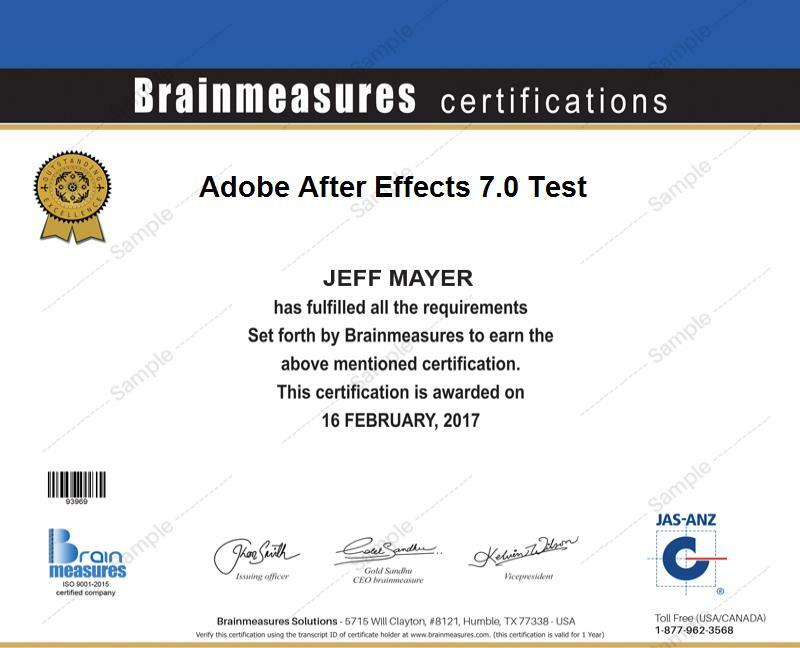 So, if you think you have the capability what are you waiting for become a certified Brainmeasures Facebook Application Developer and get your dream job. Certified Facebook Application developers get huge salaries and their salaries range from $87,000 - $95,000 and if you have the capability you can develop you own Facebook applications and sell them to big corporate houses or use internet to make them viral and earn huge profits.